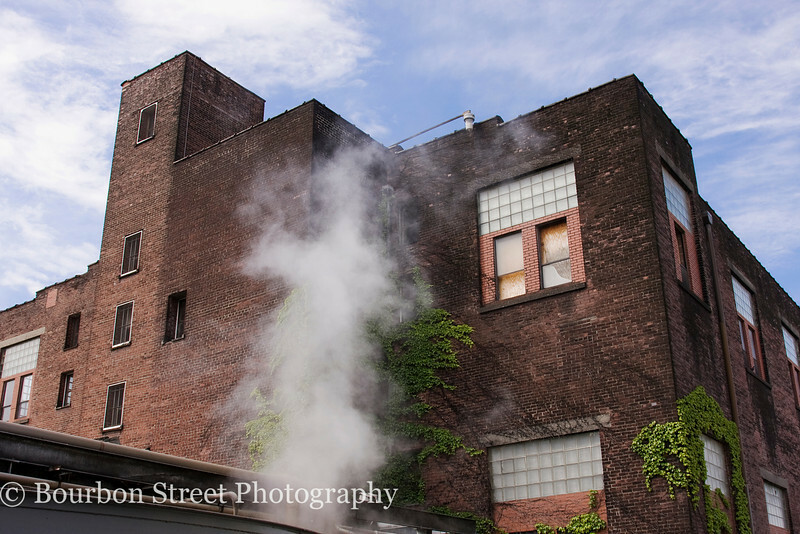 The drying house is no longer used by Heaven Hill. The watery porridge that is left over after the fermented grain mash is distilled has traditionally been used as a highly nutritious livestock feed. Some distilleries dry it to a course flour for easier packaging and transport. The sale of this product eliminates waste and can cover much of the cost of buying the original grain. Heaven Hill has decided to forego the expense and trouble of drying the 'slop' by giving it away for free to any farmer who brings their own tanker truck to fill. If there is an excess they give it to the Brown Forman Distillery (next door) who are happy to dry and sell it.